We celebrated Dad & Mum’s 40th Wedding Anniversary yesterday. 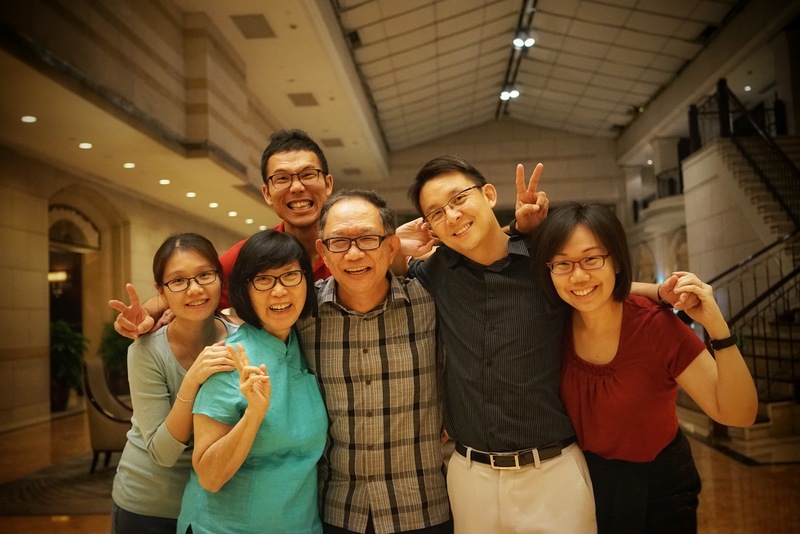 It was simple – Sunday mass and family dinner. I was grateful how low-key and casual we all were about the planning. In my intense and dramatic family, “low-key” and “casual” can often feel like rare supernatural graces. I really love this family portrait we took yesterday. As I looked at our smiling faces, my heart was seized with intense gratitude and an immense sense of God’s protection and love. For here are six people who struggle to love one another, who fail terribly on a daily basis, but who undeniably still love this family deeply. For better or worse, we have all made each other into the people that we are. We have imprinted one another with our wounds even as we have branded each other’s hearts with our love. This – right here – is the furnace in which I am continuously purified in love until the end of my days. As I now grow to be able to love my imperfect, broken self, I find myself also growing in capacity to love my imperfect, broken family. For we are beautiful – all of us – if we can only come to see ourselves and each other in God’s extravagant and merciful love.